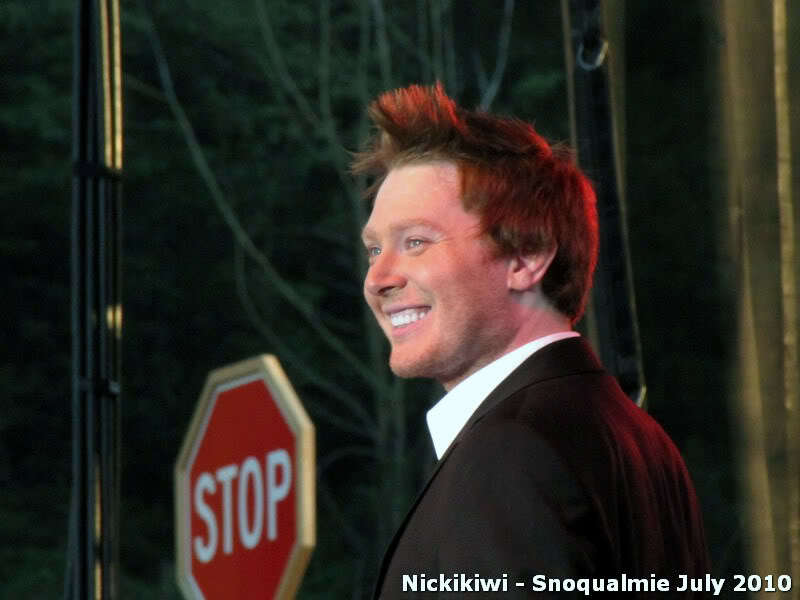 Clay Aiken Supports His Friends! On Tuesday morning, did you have a chance to hear Clay Aiken on the radio? Clay was the co-host on the morning show, Wake Up With Taylor. This 3 hour show is hosted by Taylor Strecker and is on Sirius XM Channel 109. Clay said he was in the front row of the audience at The View on Monday. He wanted to support his friend, Meghan McCain who was on the panel for the first day! There was a long discussion about Harvey Weinstein. Clay and Taylor had a long discussion about sexual harassment at the job. Taylor told of an incident she had at work a few years ago. Clay said it was important for anyone who has a problem at work to report it to HR department immediately. 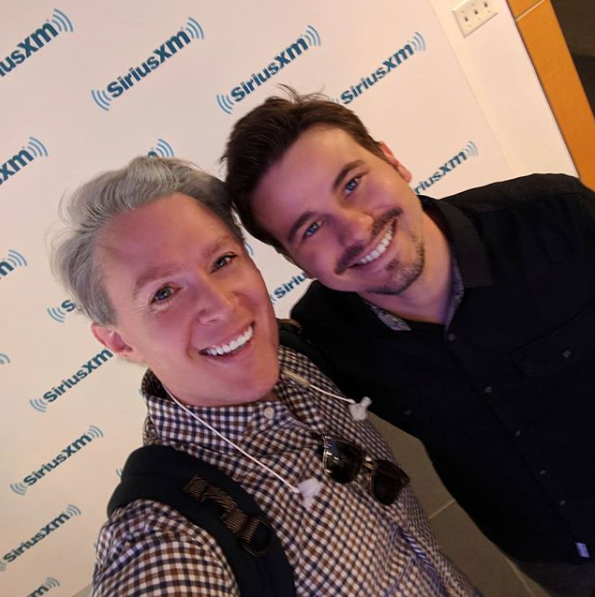 Jason Ritter was the guest on the show. 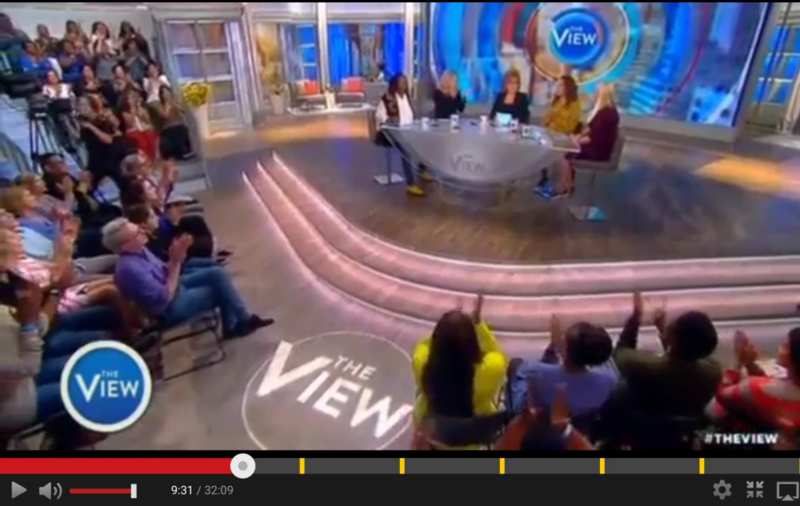 He had been on The View on Monday. Clay with Jason Ritter. Clay posted it on his Instagram account. Clay said he would be on the show again next week. Taylor and Clay interrupted each other when they were talking about sexual harassment, but it was done in a friendly way! I look forward to the next show. Both Clay and Taylor have a lot to say!! You still have a few hours to vote. I hope you will support the National Inclusion Project. This is such a fun way to raise money for a wonderful organization! "Faithfully" was my second choice. Because of my finances, I cannot vote again. Nevertheless, I hope we raised a lot of money for NIP. I'm not surprised that Clay is there for his friends, he is very loyal. Thank you, CANN! Paula…The actor is Jason Ritter. He plays the role of a man named Kevin on TV. So…the picture was of Clay and Jason. Jason is the son of John Ritter who starred in the TV show " 3's Company"
Error: Error validating access token: Session has expired on Tuesday, 21-Aug-18 16:13:01 PDT. The current time is Sunday, 21-Apr-19 21:37:15 PDT.